Amazon seller listing tools are crucial to the convenience and success of such sellers. You can use these tools to list your products on the Amazon server without any hassle. On top of that, you can take notes and print shipping labels at the same time. In this article, we’ll look at the top 10 Amazon seller listing tools to see which is the best for your condition. Each of these tools has a unique advantage over the others which we’ll attempt to point out. It’s up to you to determine which one you like the most and take advantage of it! Read on to learn which Amazon seller listing tool is the one for you! Remember to also check our AMZReimburse, the best refund manager for Amazon Sellers looking to get back what they are owed from Amazon! The main advantage of Listee as a seller listing tool is that it can detect SKUs that have already been listed. This attribute prevents you from accidentally listing the same product twice. Their support team is also readily available. The tool offers two different packages. The first is for smaller businesses, costing $49 per month. The second is for larger businesses and costs $149 per month. 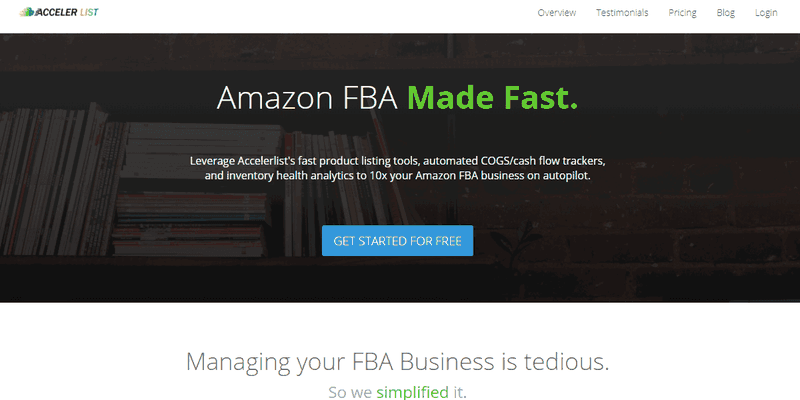 Ecomdash helps you build Amazon lists much faster than the average tool. It has a bulk upload feature that lets you deal with all your products in one go. The listing tool uses multiple channels which improves the accuracy of your product listing as well as improving the speed by which you can accomplish it. 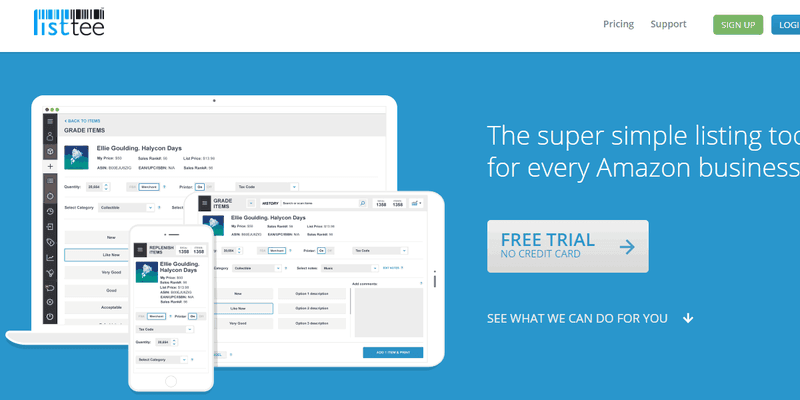 You can use this tool for $60 per month. If you have more than 100 products to work with then you may need to increase that amount. One of the best features that comes with Scanlister is that it gives you a step-by-step guide for utilizing it. 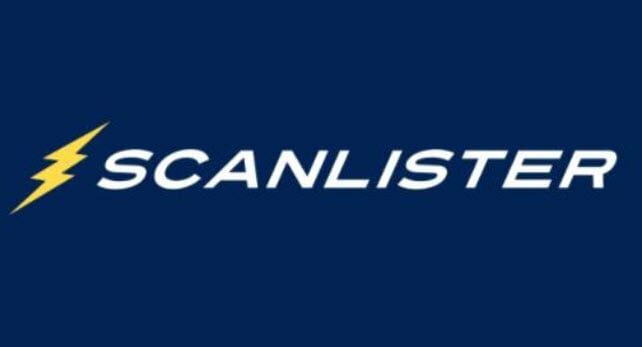 If you don’t like figuring out how to use these online tools then Scanlister is the way to go. It’s one of the simplest seller listing tools out there. It’s also a one-time purchase tool. You need to pay $299 up front to use it. However, you’ll never need to pay anything more. Considering most of these tools cost between $50-100 per month, you’ll be saving money within half a year! 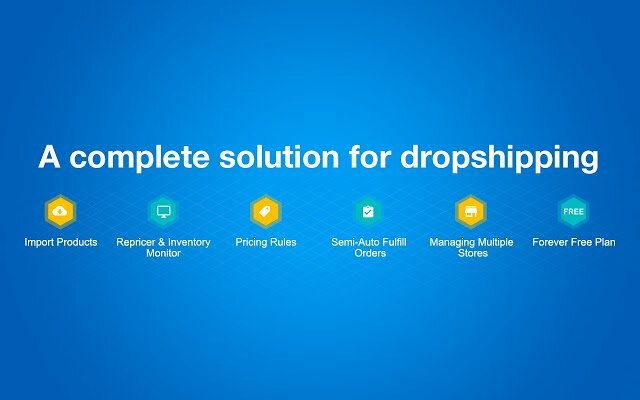 Shopmaster works along with 33 other suppliers on top of Amazon. This is the tool to use if you plan to sell through Chinese sites. They have an excellent English-Chinese translation feature. Support comes with all packages. They even offer a free to use package for those with not so many products to list. If you’re a rather large business, it will cost you $79.90 per month to use. 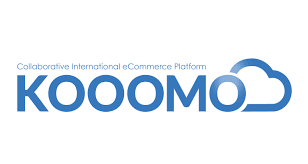 Kooomo is known for their up-to-date software. They get a large update ready to go every month. They can support many channels at once, rather than just Amazon. This gives you more options and potential customers. The main goal of the Kooomo listing tool is to make things as easy on you as possible. Their prices vary depending on your needs. There’s no set amount so you’d need to contact them directly and work it out. 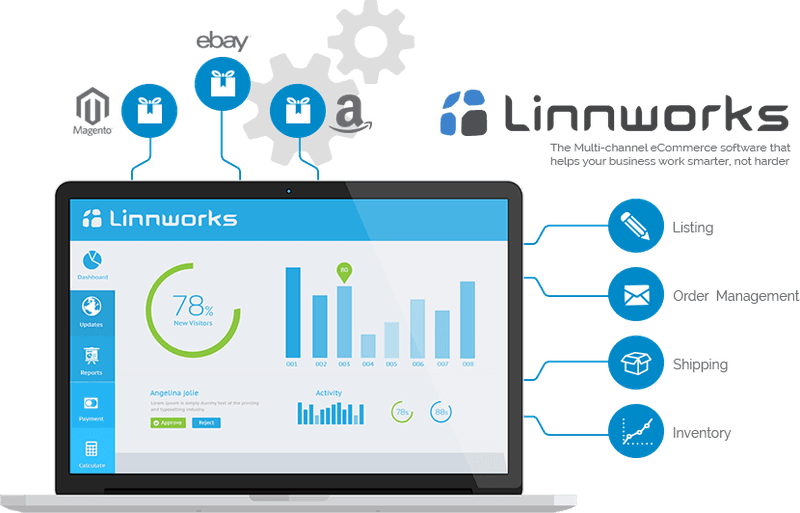 Linnworks offers a strong level of listing tools, equipped well enough to be placed on hundreds of different marketing sites at once. Amazon is still the key site, but the others give you further advantages and connect more potential customers to your business. You can use the tool free for a full month. After that, you must pay $180 for every month afterwards. The ability to give the tool a trail run is quite convenient as you can see it in action. 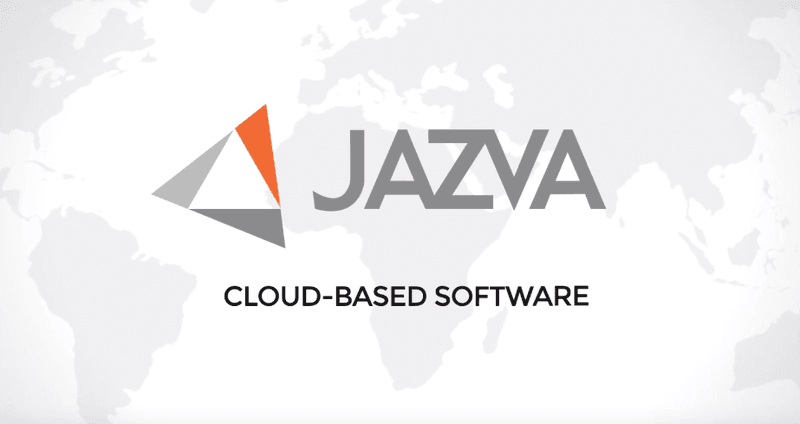 If automation is your goal then Jazva may be for you. You can track your entire inventory in real-time utilize their shipment and status update synchronization. Most of the work is done by the program yet you’ll find yourself out in front of all your competition! Their product varies depending on how much you need done. The best thing to do is contact them directly and discuss your needs. This tool is very basic and will send over you lists from Amazon to other servers. Other than that and the basics provided by all listing tools, it doesn’t have many new features. The chief advantage of Listingmirror is that it offers you a one-year subscription that unlocks all premium features. For only $500, you can have your business listings showing up wherever you like for a full year. Kyozou isn’t just a buy and run service. You will give your customized needs to them and an actual person will help you set it up. Kyozou has multiple storage locations and allows you to easily send out your listings in bulk. You need to discuss the cost with the company directly. However, you won’t have to worry about much as they’ll do most of the work for you. AccelerList lets you set up your listings to show up all at once or over a period of time to your specifications. If you don’t want to flood your page immediately then you can set it up to show certain items by a certain date, rather than the whole lot popping up at once drowning out some of your products. Your products will show up on search results much faster when you use AccelerList. You can give it a go for two weeks free of charge. If you like it, then you’ll need to pay $34 per month. Their price is actually much lower than most. As I said, each and all of these Amazon Seller Listing Tools have an advantage over another. The real question to answer is which of them will be best for you. Some of them you can try out first to see if they’re good for you. Others you can’t. At the end of the day, you know what your business needs. Only you can decide which one you need. I’ll leave it up to you to decide which of these top 10 Amazon seller listing tools are best for your business.